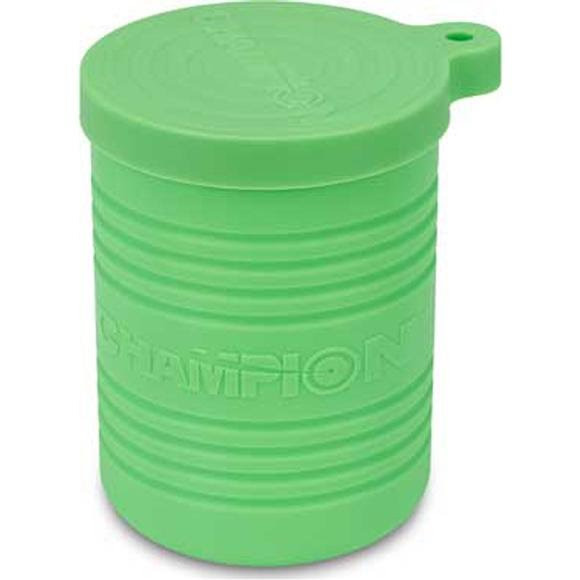 The Champion® Soup Can target was designed as a fun target that you can fill with water, flour or a similar consistency powder so you can get a visible shot indicator without having to mix chemicals to get a reaction. When your bullet passes through the target, the powder or water inside will compress, pop the lid off of the target and leave a visible cloud so you know you hit your mark. The Champion® Soup Can target was designed as a fun target that you can fill with water, flour or a similar consistency powder so you can get a visible shot indicator without having to mix chemicals to get a reaction. When your bullet passes through the target, the powder or water inside will compress, pop the lid off of the target and leave a visible cloud so you know you hit your mark. This target is made from the revolutionary DuraSeal™ material, a non-metal, self-sealing target that lets bullets pass through with minimal damage.